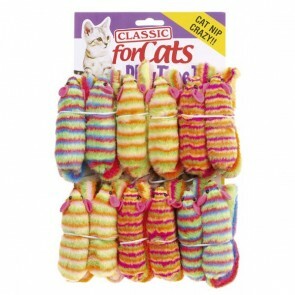 We stock a range of high quality cat toys, including traditional classics such as catnip mice, spiders and balls suitable for all cats regardless of age, that encourage natural behaviour, help exercise your cat and provide them with both mental and physical stimulation. All the cat toys featured on the website have been designed to stimulate your cat's natural senses, keeping them entertained and out of mischief whilst they bat, chase, juggle and carry the toys around your home. 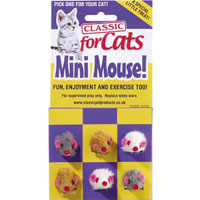 Catnip mice: 5 stars out of 5 based on 0 user reviews.